Nothing is more exciting then watching my Nanny Kid open her annual letter from Santa Claus. All you need is Internet access, a printer, printer paper, and an envelope to make your own letters from Santa and Nice List Certificate. There are dozens of businesses that can make letters from Santa to send to children but it is much cheaper and more personal to create letters from Santa yourself. It only takes about half an hour to make your own Santa Letters and Nice List Certificates. 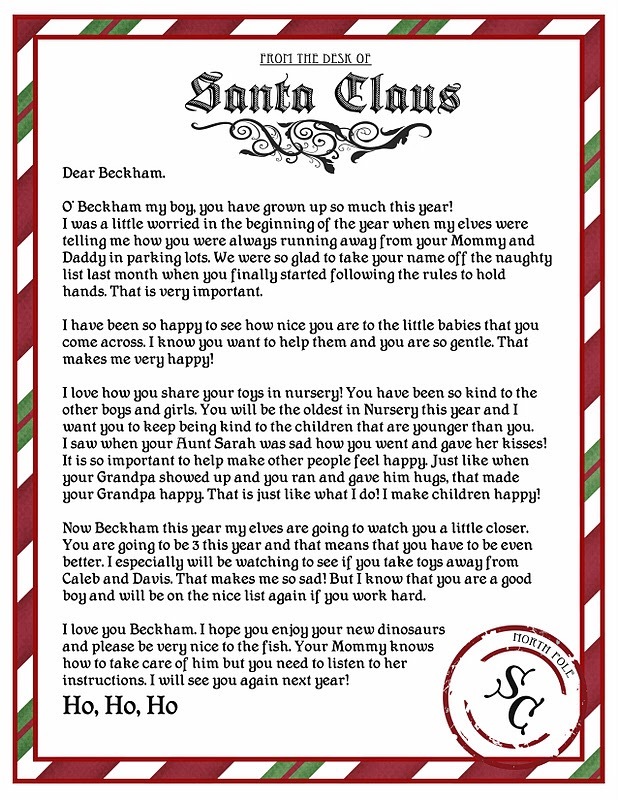 Beware that many of the Santa Letter websites are frauds. I urge everyone to make sure any website business has a phone number and real address prior to purchase. 1. Google “free Santa letterhead.” Copy an image and paste into word processing software. I used free Santa letterhead from yourgoldenticketblog. 2. Insert a text box onto the letterhead and write a letter to your nanny kid bragging about their accomplishments this past year. Explain why they are on the top of Santa’s Nice List. I used ideas from NoellaDesigns to help chose what to say. 3. 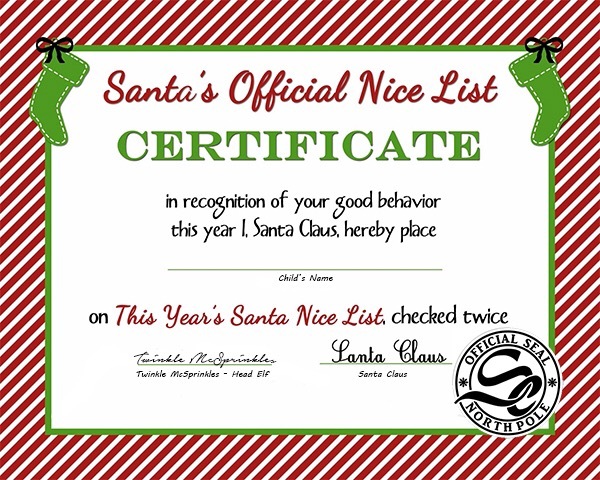 Print out a Nice List Certificate to prove to your nanny kid that she has officially made Santa’s Good List. I used a certificate from https://superbusymum.net/christmas-nice-list-certificate-free-printable/ to print a Good List Certificate. 4. Put the letter and certificate in an envelope addressed to the child in your care with the return address from Santa, North Pole, and Arctic Circle. Finally, be sure to avoid scams saying they will send Santa Letters and Nice List Certificates. Often they take your money but never send the letters.